What if You Could Change Your Attachment Style? 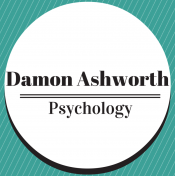 Posted byDr Damon Ashworth July 2, 2018 October 8, 2018 Posted inDeliberately BetterTags: books, challenges, emotions, Insights, life, mental health, Psychology, relationships, Self-help, self-improvement, strategies, success, therapy7 Comments on What if You Could Change Your Attachment Style? Posted byDr Damon Ashworth April 4, 2018 May 22, 2018 Posted inhealth & wellnessTags: Australia, books, challenges, growth, Insights, life, mental health, Psychology, relationships, Self-help, strategies, success, treatment41 Comments on Is Your Screen Time Eating Up Your Free Time?